Jayne first became involved with disaster response in the aftermath of the 9/11 attacks. Joining a team of volunteers utilizing her skills as a computer programmer, she wrote a database system to manage the 100+ volunteers and 20+ trucks of donated supplies in response to the attacks. This database system later grew into a national database system for registering volunteers, donations, and the displaced survivors of Hurricane Katrina. Jayne’s involvement with Donations and Volunteer Management led her to become the President of the Indiana Volunteer Organizations Active in Disasters (INVOAD) and the Volunteer Management Coordinator for Marion County Emergency Management. 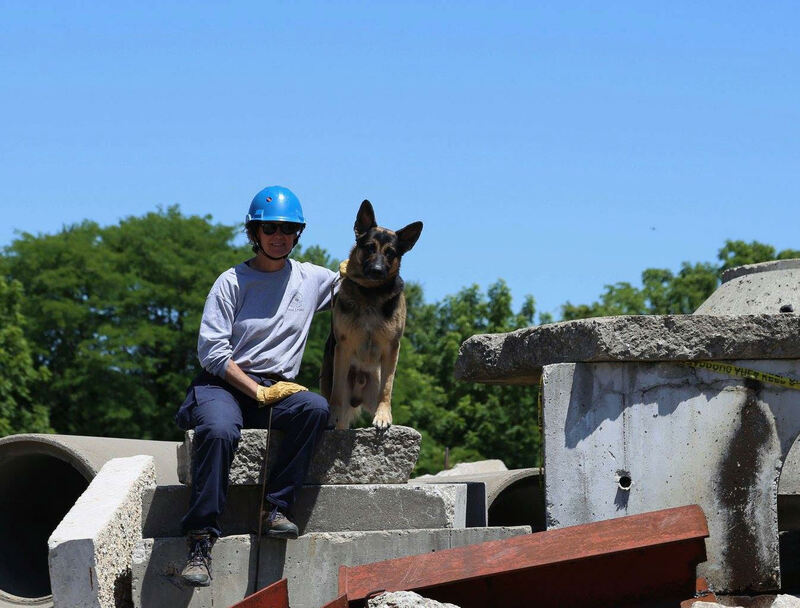 In 2010, Jayne joined IN-TF1 and became a FEMA Certified Canine Search Specialist in 2011. In 2013 she certified her first FEMA Disaster K-9, 2 year old female German Shepherd Nike. In 2017 she certified Guinness, a 3 year old male German Shepherd as live find. Jayne was a Certified Canine Specialist for FEMA/IN-TF1 from 2010 – 2017. She has been the K-9 live find area trainer for multiple seminars across the country and now trains with IL-TF1 and a K-9 SAR team, ISART, in northern Indiana with both Nike and Guinness. Jayne first deployed with GoDocs in 2017 to Florida with a “tip of the spear” team made up of a medical team, drone team, and K-9 team in response to Hurricane Irma.